At the beginning of the second season, Midge (Rachel Brosnahan) is forced to accompany her father to Paris and the excursion only furthers the distance (both physically and emotionally) between her and ex Joel (Michael Zegen). Of course, this may bring to mind Rory Gilmore's (Alexis Bledel) excursion to Europe with grandmother Emily (Kelly Bishop) — a trip that took place in the midst of Rory's drama with ex Dean (Jared Padalecki). Abe's (Tony Shalhoub) role as a professor at Columbia University immediately calls to mind Rory's grandfather Richard Gilmore's (Edward Herrmann). Richard was closely connected to (Rory's eventual alma mater) Yale as an alumnus of the Ivy League school. So the Catskills aren't exactly Stars Hollow, but there are a few traditions they share, the biggest of which are the group/town meetings. Fans of Gilmore Girls could never forget the many town assemblies led by Taylor Doose. After years together, Loralei's parents Emily and Richard Gilmore went through a brief separation, and Abe and Rose Weissman have some similar difficulties in the second season of Mrs. Maisel. In the season premiere, Rose ventures to Paris without her husband after feeling ignored in her marriage. But similar to Emily and Richard, the Rose and Abe eventually make up. 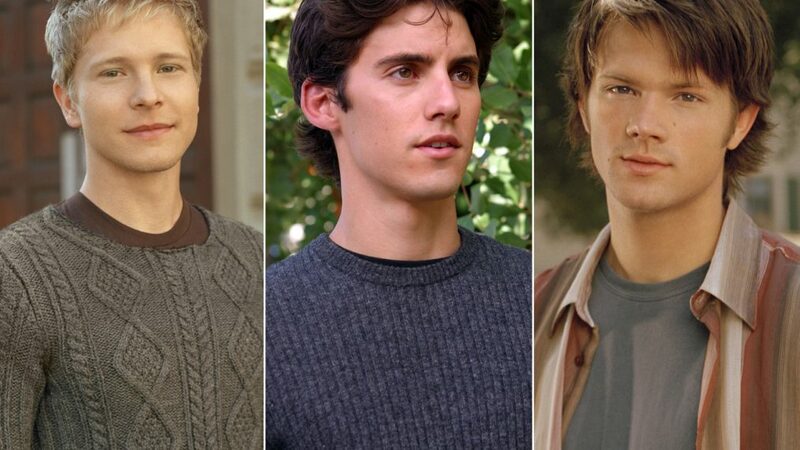 Maybe Midge isn't caught between Dean, Jess (Milo Ventimiglia) and Logan (Matt Czuchry), but ex Joel did have some competition with newbie Benjamin (Zachary Levi). And even if Midge and Joel continue to dance around their feelings for one another, she's no closer to making up her mind than Rory was. Both Mrs. Maisel and Gilmore Girls love a song-and-dance number or two. If Gilmore Girls fans need a reminder, look no further than Netflix's A Year in the Life. Midge and Susie are almost exactly like Rory and Lorelai (Lauren Graham) when it comes to a good sandwich. Whether it's Carnegie Deli or Luke's, these ladies are ready for a feast and we love it. Anyone familiar with The Marvelous Mrs. Maisel and Gilmore Girls knows that the two shows share an undeniable link — creator Amy Sherman-Palladino. The showrunner has been behind quite a few shows, but the latest season of Mrs. Maisel has sparked some strong Gilmore Girls nostalgia. 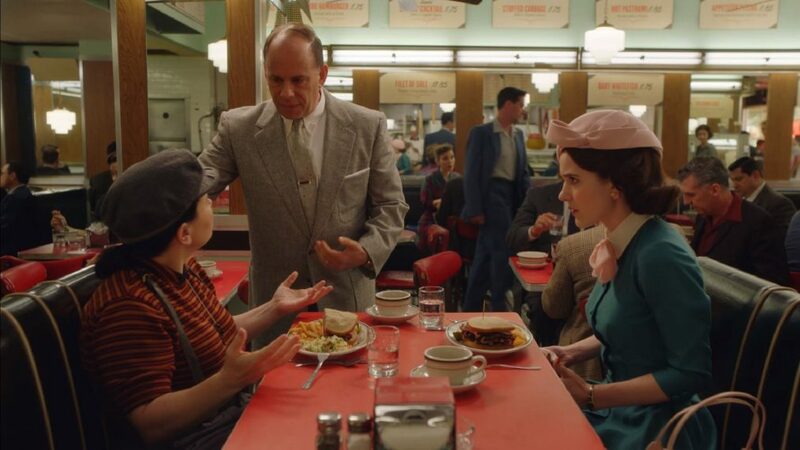 From girl-talk over fries and sandwiches to community gatherings, the similarities between the shows grew after Mrs. Maisel's Season 2 release. Whether it's Rory (Alexis Bledel) and Lorelai (Lauren Graham) or Susie (Alex Borstein) and Midge (Rachel Brosnahan), these quick-talking ladies are a brand all their own. Click through the gallery above to see just how closely the shows are linked!